The Health Resources and Services Administration (HRSA), an agency of the U.S. Department of Health and Human Services, is responsible for improving access to healthcare for those who are uninsured or otherwise marginalized and/or medically vulnerable. The agency is responsible for identifying areas of the country that have a shortage of primary and dental care, and medical professionals. HRSA administers about 90 percent of its funding in grants directly to states, public and private healthcare providers - including health professions training programs and a network of 1,000 health clinics. Beginning primarily with the establishment of the Bureaus of Medical Services and State Services in 1943, successive agencies and programs in the U.S. Public Health Service have preceded and evolved into HRSA’s current operations. HRSA was formed in 1982 under the Reagan Administration, the result of a merger of the Health Resources Administration (HRA) and the Health Services Administration (HAS). The merger combined HRA responsibilities for health professions programs and state-level planning with those of HAS (National Health Corps management, health care centers, maternal and child health, and medical services), as well as the Indian Health Service (pulled out 5 years after the merger) and a new Health Maintenance Organization program. At its forming, HRSA consisted of four major divisions: The Bureaus of Health Professions; Health Maintenance Organizations and Resources Development; and the Health Care Delivery and Assistance, and the Indian Health Service. In the simplest terms, HRSA provides health care services for low-income and otherwise underserved people, in both rural and urban areas, throughout all U.S. states and territories. Headquartered in Rockville, MD, the agency is made up of six bureaus and twelve offices, as well as regional divisions in New York, Boston, Philadelphia, Atlanta, Chicago, Dallas, Kansas, Denver, San Francisco and Seattle. 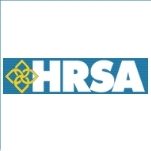 HRSA provides service (“leadership and financial support”) to healthcare providers in every U.S. state and territory. Special policy focus is given to uninsured people, people living with AIDS/HIV, as well as pregnant women, mothers and children. Agency training programs are aimed at a diverse healthcare workforce and service delivery to marginalized areas. The agency also oversees organ, tissue and blood cell donation and vaccine injury compensation programs and monitors healthcare malpractice. HRSA “Health System Concerns” or areas of policy interest include: Donation and Transplantation, Emergency Preparedness (including Bioterrorism Hospital Preparedness, Emergency Medical Services for Children, Rural Emergency Medical Services), Health Information Technology, Provider Monitoring (National Practitioner Data Bank for malpractice, disciplinary actions), Healthcare Integrity and Protection Data Bank for waste, fraud, abuse), Provider Shortage (Health Professional Shortage Areas and Medically Underserved Areas/Populations), Vaccine Injury Compensation, Women’s Health, and Workforce (Health Workforce Analysis Reports & Data). These efforts are directed to resources and technical assistance in the following areas: Child Care and Child Health Services, Cultural Competence/Minority Health, Hansen’s Disease, Health Disparities, Health Promotion, HIV/AIDS, Homeless (policy), Maternal and Child Health (including Newborn Screening), Patient Safety, Primary Care for Underserved People, Quality, Research (human and maternal/child), Rural Health and Women’s Health. HRSA manages a national health center network of about 1,000 grantees that operate community health centers. Located in most cities and rural areas, HRSA centers are consumer-run (they are required to operate under a strict “consumer Board of Directors governance structure,” which means, in part, that at least 51% of the BoE members must be patients or “consumers” of the healthcare), and provide services for the uninsured on an income-based sliding scale. Centers are designed to reach those who are marginalized by mainstream health care—including the uninsured, people with limited English language proficiency and people living with HIV/AIDS. HRSA’s Geospatial Data Warehouse provides maps and reports based on grant, delivery and program site, underserved populations and professional shortage area, provider, U.S. Census population, birth and infant death, and geographic data. Users can access quick reports on grants, shortage areas and underserved populations, or customize their own HRSA and Medicare-Approved Provider Reports. The Bureau of Health Professions aims to promote a diverse healthcare workforce, especially in places where there is a shortage of professionals. Bureau programs include grants and funding opportunities, training and service corps initiatives, as well as statistical research to monitor workforce trends. BHPR and HRSA training and support programs focus heavily on nursing, which has received significant federal attention in recent years. In FY2006, HRSA funds supported more than 91,000 nursing students in a variety of programs, and federal investments in the profession have more than doubled since FY 2001. Administered by the HRSA’s HIV/AIDS Bureau, the Ryan White HIV/AIDS Program is one of the main ways the government provides for people living with HIV/AIDS in the U.S. Established in 1990 and reauthorized in 2006, the program facilitates treatment for low-income, uninsured and under-insured people living with the disease, targeting resources to areas with the greatest needs. Under the program, HRSA provides to hundreds of grantees, including States, cities and communities, who deliver to more than half a million low-income patients each year. The FY2008 budget request for the program was $2.1 billion. A primary part of the agency’s cultural literacy agenda is the training and development of a diverse professional work force. HRSA created the Centers of Excellence (COE) Program in 1991, which aims at reducing disparities in the health care system by increasing the number of racially and ethnically underrepresented minorities in health professional programs (medicine, dentistry, pharmacy and mental health; nursing is covered under a separate initiative). A division of HRSA, the Office of Rural Health Policy (ORHP) was established in 1987, subsequently authorized in Congress and allocated to the HRSA. The Office is charged with informing and advising the Department of Health and Human Services on issues affecting rural healthcare, coordinating related activities with the Department and maintaining a national clearinghouse. According to the HRSA, the Bush Administration’s FY2009 budget proposal is generous, recommending $5.9 billion in funds for the agency, with continued support for service expansion and HIV/AIDS programs. $2.5 billion of this is allocated for the agency’s health centers, and would support more than 1,000 grantees at over 4,000 delivery sites, with clinicians providing primary care to an estimated 17.1 million patients in 2009. These figures mark a $26 million increase for health centers, and would fund up to 40 new sites in high-poverty areas that currently have none, as well as up to 25 planning grants to help community-based organizations prepare for future grant competition. However, critics contend that the proposed budget fails to allocate sufficient funds for health prevention and promotion, generally, and cuts needed HRSA funds, specifically - including for doctor training at children’s hospitals, nurse and other health professionals training by $240 million from FY2008 levels, as well as reducing HRSA funding for rural health programs to only $17 million. HRSA budget has increased 332% since its founding (1982), from a total of $1.4 to $6.4 billion. Funding for health centers has increased 400% in the same time, from just under $400,000 in 1983 to almost $2 billion in 2007. For example, this is a list of all Centers of Excellence (COE) recipients for FY2007. HRSA provides a wide range of funding opportunities, including for Health Professions Training, Health IT, HIV/AIDS, Maternal & Child Health, Organ Donation & Transplantation, Primary Health Care/Health Centers, and Rural Health. The HRSA is involved with the thiomersal controversy insofar as it operates a vaccine injury compensation program, and was one of the authorities to issue a statement denying a causative connection between the preservative and autism. Thiomersal is an organomercury preservative used in many childhood vaccines since the 1930s to prevent bacterial and fungal contamination, which has long been associated with the development of autism and other neurological disorders. Thiomersal was recalled by the CDC and American Academy of Pediatrics (AAP) after a 1999 recall of food and drug products containing mercury. As a precautionary measure, manufacturers began to phase the preservative out of most U.S. and European vaccines given to infants. However, according Robert F. Kennedy, Jr., whose damning 2005 article chronicled the massive threat of mercury, containing vaccines (both domestically and in foreign-aid operations) and the government’s purported attempts to cover up the scandal and minimize health threats - they continued to sell their supplies until 2004, both domestically and to developing countries. Thousands of lawsuits have been filed in the U.S. seeking damages for alleged toxicity caused by the vaccines. However, “mainstream” medical opinion and the “scientific consensus” - including the HRSA, FDA, CDC, CDP, and the WHO - is that the preservative does not cause or contribute to autism or other neurological disorders. See Thimerosal (Mercury) Injury Claims Under VICP in HRSA’s Vaccine Compensation FAQs and Thimerosal News for a chronology of the controversy (with article links). Does Government Have a Responsibility to Care for Low-Income Americans? As the federal agency charged with providing primary healthcare for low-income and uninsured Americans (not to mention filling service gaps to other underserved, marginalized and vulnerable populations - such as racial and ethnic minorities, pregnant women and children, and people living with HIV/AIDS) the HRSA is at the center of a polarized national healthcare debate. HRSA’s focus on marginalized sections of the population, on both sides of health care service delivery, is based in part on a recognition that health (and professional) disparities occur along lines of class, race, gender and other socioeconomic factors. This, combined with its function as a safety net for the millions of uninsured, puts it on the Conservative/Republican chopping block. With little exception, the need to protect society’s most vulnerable members remains a province of “Liberal” and “Leftist” agendas. Controversy flared when Claude Earl Fox, the openly gay HRSA administrator appointed by President Clinton in 1998, resigned abruptly in 2001. Fox had been influential and effective as administrator of the Ryan White Care Act Program, which provides health care services for low-income Americans affected by HIV/AIDS. Rumors - both accusing Fox of wrongdoing and regarding a purported dismissal having to do with his sexual orientation - circulated but were never validated. Fox was never officially accused of any wrongdoing or investigated, nor did he make any definitive accusations. Seeking help; trying to get vital information and guidance in settling a workers comp medicare set aside case. Would like to make an appointment for information on a report done by NuQuest on March 29, 2017. This was a 30 year workers comp case settled with open medical benefits. Please we are in much need of help. We want to protect Medicare with cost related services that WC is responsible for. I am a college who is going to a VA college & parents live in KY. Am trying to get health insurance. Do not qualify for medicaid in KY for some reason as far as can be determined. Companies and federal will not talk to me because the want to refer me back to medicaid. I need to do it before my KYconnect ends at the first of Jan 2017. I have been denied Social Security Benefits 3 times. I am a 44 year old musician/music teacher. I have worked all of my life until 2007 when I developed a chronic case of Fibromyalgia. It has gotten worse. I can no longer work any type of job and 5 out of 7 days I can't leave the house. Many times am I bed ridden without help during the day. I am married with 3 children. My husband's income is not enough to carry a mortgage, a daughter's college tuition, health care, etc.. I need someone to come in during the day and help me. I was seen and approved disabled by my personal doctor, Dr. Scott Hogenmiller(He said there was nothing else he could do), the Social Security Disability Physician who said I was disabled as well. Their own doctor said I was disabled!! The Social Security field office in Staunton , VA. reversed the decision made by their own doctor to reflect not disabled. If they only knew how much I suffer, crying in pain daily, had a gun up to my head one day, ready to end it all because the pain is unbearable. I am asking your help Mrs. Wakefield , I knew you could help people like me. I just can't wait another 6 months for a judicial hearing. My medical bills are piling up and I can't go to the doctor because I don't have medical insurance. PLEASE HELP ME!!! Macrae attended Illinois Wesleyan University, graduating in 1986 with a B.A. in sociology. He followed that up with a Master’s degree in the same subject from Duke University and subsequently earned a Master’s in public policy from Harvard. 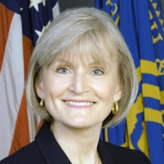 In 2000, Macrae became Associate Administrator for the Office of Performance Review in HRSA, overseeing agency staff around the country. He returned to the Bureau of Primary Care in 2006, this time as its leader. He also oversaw the School-Based Health Center Capital Program, which provides funding for equipment for school-based health centers. He held that job until becoming HRSA’s acting administrator.